‘The Green Prince’ is a fascinating story about the son of a Hamas leader who turned informant for the Israeli intelligence agency, Shin Bet. Like last year’s even better ‘The Gatekeepers’, the documentary shines a light on the practices of the intelligence agencies whilst also offering a candid insight into the present situation in the Middle East. The extra kick with ‘The Green Prince’ is the idea of family, and the moral compass that led Mosab Hassan Yousef to turn his back on his own people. 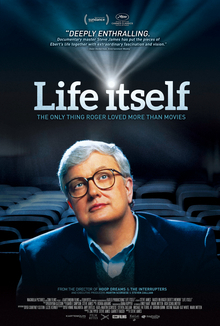 Film critic Roger Ebert is a large part of why I started writing film reviews in the first place (a blessing to some, a curse to others perhaps! ), and this celebration of his life is a touching, funny and moving documentary that charts his career from his beginnings at a student newspaper to his later battle with thyroid cancer. 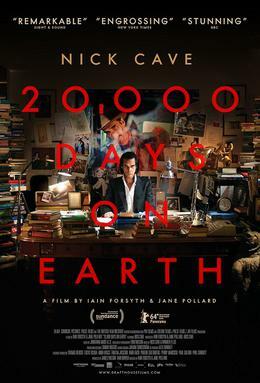 This experimental documentary about Australian rock god Nick Cave is a fascinating piece of work, mixing fiction and reality to provide an insight into Cave’s life, his idiosyncracies and his recording process. A must watch for any of his fans, but a great watch for anyone interested in music and the process behind the creation of it. Two sporting documentaries in my top two this year, and they couldn’t be any different in terms of the subjects. 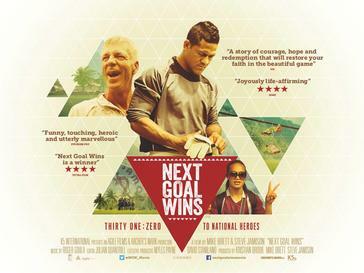 ‘Next Goal Wins’ didn’t do great business at the cinema, despite being released in the lead up to the World Cup, but those that did see it were treated to a terrific underdog story about the American Samoan Football side (known for a famous 31-0 loss to Australia), on their quest to qualify for the World Cup, and more importantly on their quest to win a game. The director’s passionately portray the team’s struggles and in US based Dutch coach, Thomas Rongen, they have a leading man to challenge any Hollywood sports movie. The best documentary of 2014 focuses on Lance Armstrong, cancer survivor and 7 times Tour de France winner, who finally admitted to being a drug cheat after years of denying accusations. 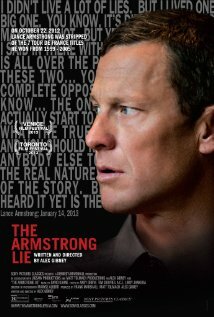 The documentary is particularly fascinating as it follows Armstrong both before and after the truth came out, with the scenes beforehand focusing on his attempts to compete in the Tour de France again in 2009, and then the scenes after taking the form of an interrogative interview. Contributions from numerous other cyclists add to the experience and we get a picture of the rampant drug abuse throughout cycling at the time as well as an internal examination of what drove Lance Armstrong to cheat in the first place, and then to deny and deflect for a number of years. It’s the best documentary I saw this year, and I can’t recommend it highly enough.